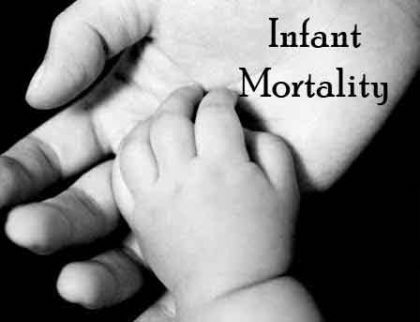 New Delhi: India has registered a significant decline in Infant Mortality Rate (IMR). According to the just-released SRS bulletin, IMR of India has declined by three points (8% decline), from 37 per 1000 live births in 2015 to 34 per 1000 live births in 2016, compared to two points decline last year. Not only this, India also recorded a major drop in the birth cohort, which has for the first time come down to below 25 million. India has registered 90000 fewer infant deaths in 2016 as compared to 2015. The total number of estimated infant deaths have come down from 930000 (9.3 Lakhs) in 2015 to 840000 (8.4 lakhs) in 2016. According to the SRS Bulletin, the gender gap in India for child survival is reducing steadily. The gender difference between female and male IMR has now reduced to <10%, giving a major boost to the ‘Beti Bachao Beti Padhao’ scheme of the Government. The results signify that the strategic approach of the Ministry has started yielding dividends and the efforts of focusing on low-performing States is paying off. Among the EAG States and Assam, all States except Uttarakhand have reported decline in IMR in comparison to 2015. The decline is reported as 4 points in Bihar, 3 points in Assam, Madhya Pradesh, Uttar Pradesh and Jharkhand and two points decline in Chhattisgarh, Odisha and Rajasthan. These remarkable achievements in merely one year is also the result of countrywide efforts to increase the health service coverage through various initiatives of the Government that includes strengthening of service delivery; quality assurance; RMNCH+A; human resources, community processes; information and knowledge; drugs and diagnostics, and supply chain management, etc.